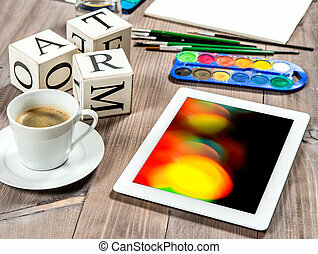 Artistic workplace. 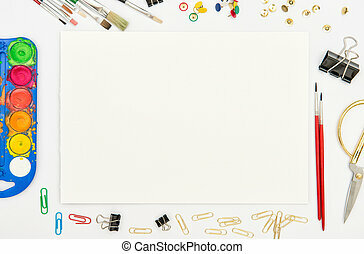 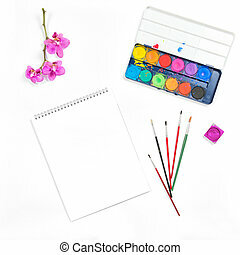 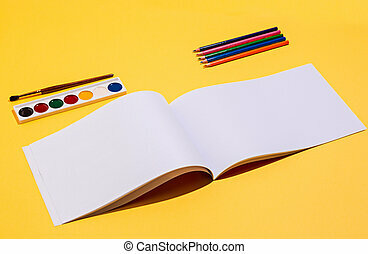 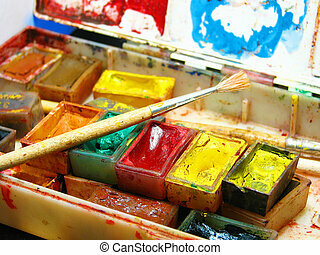 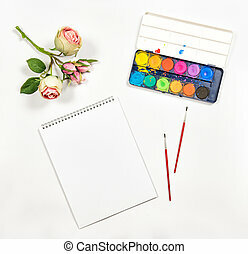 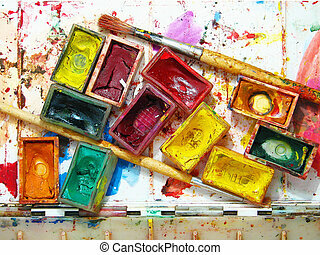 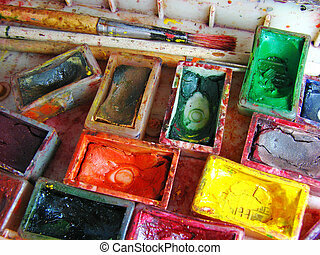 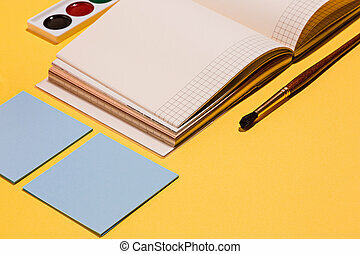 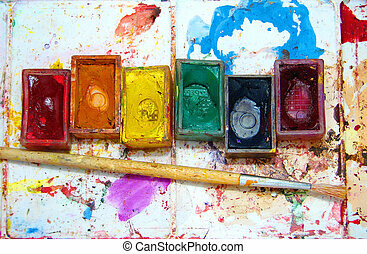 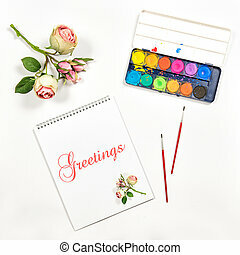 watercolor brushes paper painting tools. 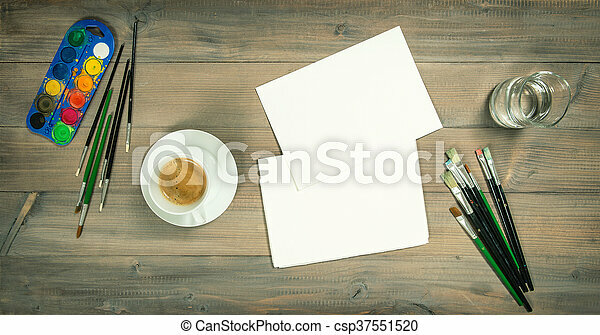 Artistic workplace mock up. 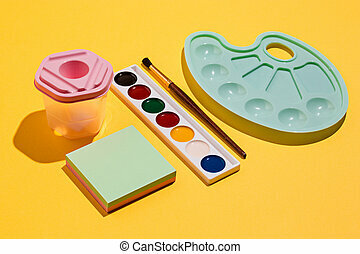 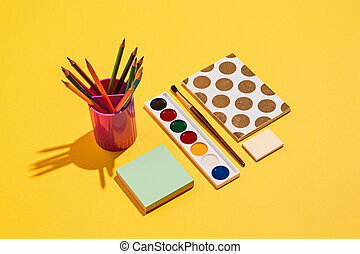 watercolor, brushes, paper, painting tools and accessories. 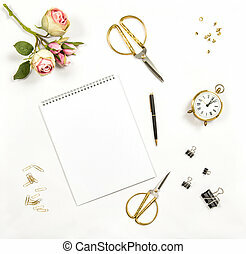 vintage style toned picture. 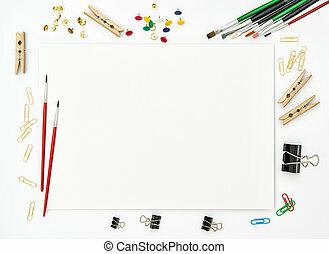 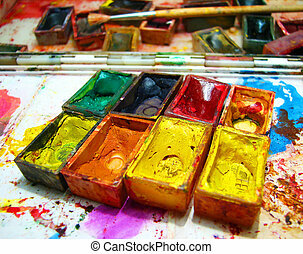 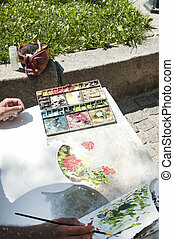 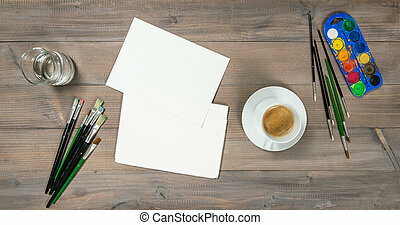 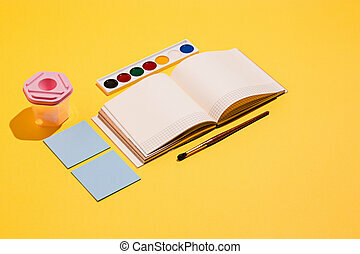 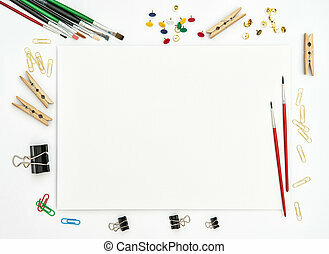 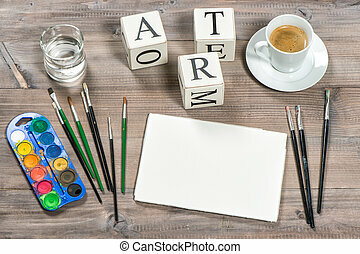 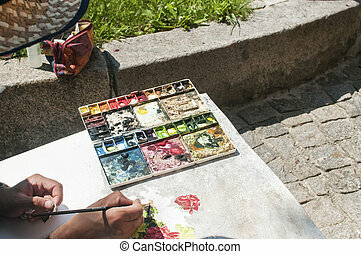 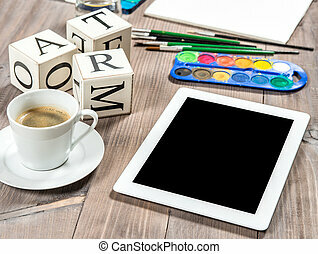 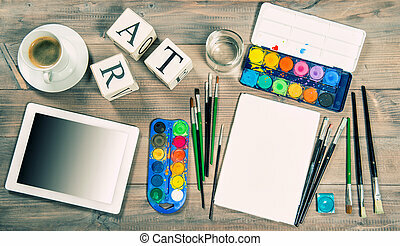 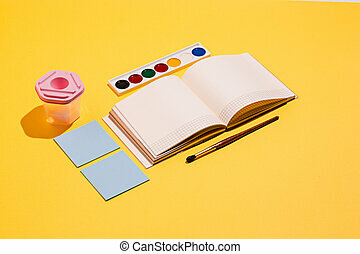 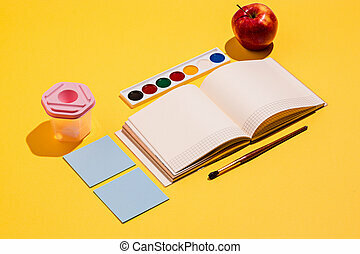 Watercolor painting and artistic tools on table.